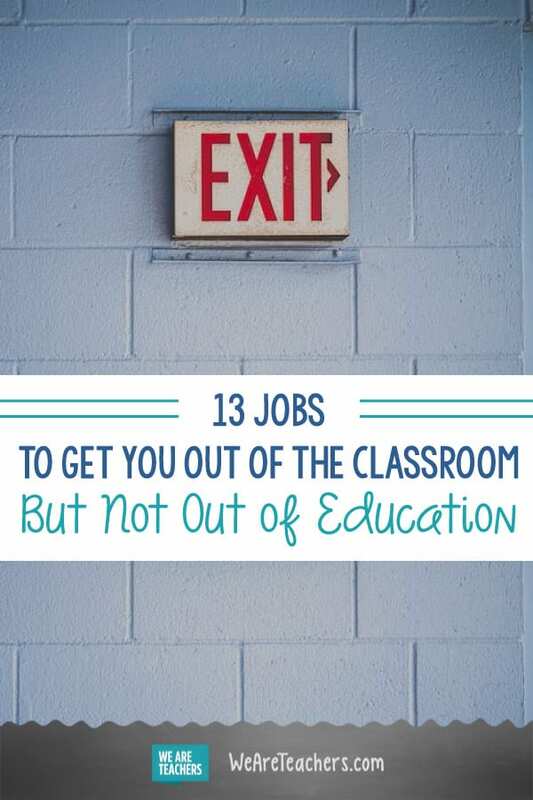 Some alternatives to your classroom gig. Many of us have opted out of the classroom for the sake of our mental and physical health or for other reasons. Though no longer teaching in the traditional sense, some still want to remain connected to education. I can certainly relate! Here are 13 jobs that will get you out of the classroom but not entirely out of the education profession. If you’re considering leaving the classroom, there’s a chance it’s because you don’t agree with a mandated policy … or 30. Be the change and all that jazz by becoming a policy expert, a person who has hands-on administrative experience with a desire to review and adjust policies within educational institutions. Want to improve the quality of what students learn? Interested in working with teachers? Informing curriculum is a great way to directly impact what goes on in the classroom, without actually being in it! It’s also among the highest-paying jobs in education. Ka-ching! Lots of districts promote senior teachers to positions where they mentor and coach new and struggling teachers. Some coaches work at only one school and some travel throughout the district. You’ll get to spend time in classrooms, but not be responsible for your own kiddos. For real-life tips and stories about mentors and their new teachers, click here. In the interest of transparency, I must admit: I had to look this one up. What does an educational consultant actually do?! Apparently, there are several different ways in which an ed consultant helps schools, the most common being maintaining what’s working (curriculum, resources, budget) and replacing what’s not. Learn more about this gig here. Red tape and pressure still apply, but becoming an online educator has been a game changer for many of us, myself included. The pay, even when salaried, is less, but so is the stress. Fair trade-off, I think! Think your local YMCA or youth center. A teacher is the perfect person to organize and facilitate educational and athletic programs and events. It’s a form of education, sprinkled with some dodgeball. Guidance counselors are in a unique position to help students and make improvements to the school. While still working within a school district, counselors serve as personal advocates for students in need and are responsible for organizing programs to help the student body. I found thisexample of a director of technology’s job description, and though it’s from 2013, it’s consistent with today’s expectations. WARNING: If you don’t want to keep up with ever-changing technology or if punting your laptop when it won’t connect to the network sounds like a reasonable solution, this gig is probably not for you. Pretty sure that’s just a fancy way of saying a person who manages and implements educational events and programs at places like museums and zoos. It’s like teaching but with a the possibility of having monkey poo thrown at you. If you love to write and are a hard worker who will do the detective work to land writing gigs, then freelancing is an awesome option for you, and there are lots of education-related publishers looking for contributors. You can work from home, write when it fits your schedule, and make decent money. As a teacher, you’re well-versed at looking at the big picture when it comes to helping students succeed—both academically and personally. 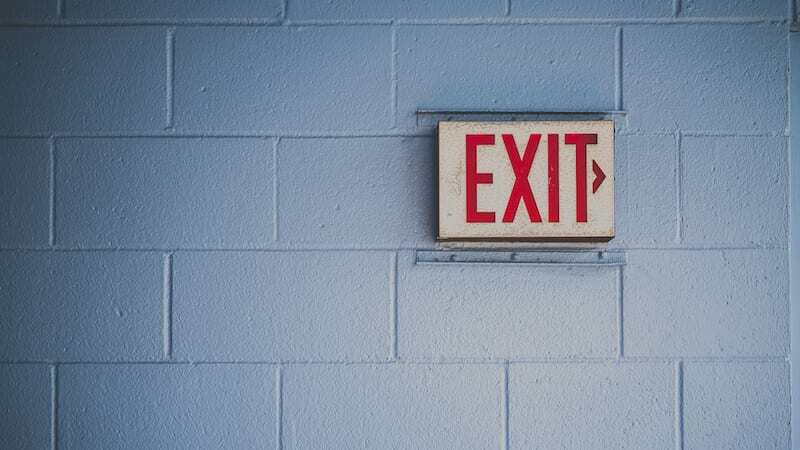 Being an academic advisor is often a good match for people who’ve left the teaching profession but don’t want to leave the education sector altogether. Median salaries for academic advisors is around $42,500, with the top pay coming in around $56,000. Be warned: Most universities prefer candidates with master’s degrees and relevant higher education experience. Publishing companies that create curriculum for school districts often employ former teachers as service representatives. Your job is to connect with and train educators on using the company’s products. The advantages of this position are that you get to use the knowledge you’ve gained as a classroom teacher (which makes it easier to connect with clients), you can usually work part-time, you control your schedule, and you make a lot more money. Use your expertise as an instructor and start your own tutoring business. If you can build up your own clientele, you can make serious money, with experienced teachers charging anywhere from $35–$50 per hour. Tap into those good relationships you’ve built over the years and make the transition to working at your own pace on your own terms. One resource to check out to help you build your business is the Teacher’s Guide to Tutoring: Video Course and e-book. Have any other post-teaching jobs to add to the list? Leave them in the comments and we’ll update this post. English teacher by trade, smack talker by nature, Stephanie Jankowski loves words and has a knack for finding the funny in everyday life. A mother of three in Pittsburgh, Pennsylvania, Stephanie subscribes to the mantra: “Life is too short, laugh!” Visit her site, WhenCrazyMeetsExhaustion.com, for more! You seem to imply that librarians do not teach. School librarians are certified teachers, just like every “classroom” teacher in our schools. We are observed and evaluated just like them, as well. As for no pressure? Try being a librarian, who is split among 2 or 3 schools, or who is the only librarian in the entire district. Indeed. This is a very lazily written article that amounts to clickbait with no useful information at all. I’m sorry that you don’t think school librarians are teachers. I have 15 classes every 4 days in my elementary school plus lunch and recess duty. Don’t forget that while the classroom teacher may have aides to help with the special ed students, I do not. I have less prep time than many teachers, but I not only have to prepare for 6 different class levels, I have clerical and admin work to do too. I am also assigned to the high school in my district. I have no aides and no volunteers. I work almost 60 hours a week trying to keep up, but it is a losing proposition. Try my position for a week or so. Why do you think there is a shortage of school librarians?? PS. I may be surrounded by books, but I spend most of my time teaching technology. I agree with Rita above. What an unhelpful (read: ignorant) comment to make about school librarians…time to do some research and find out all the skills and responsibilities we have, that is, in those schools where administrators haven’t believed the lie that we sit around all day reading books. I believe this article was good intentioned, meant to helpful and humorous, but as a school media coordinator with 22 years of experience, I must agree with Ms. Foran’s comment. There is much more to a librarian’s role than meets the eye. They often teach all day, plan lessons each week for multiple grade levels and have no planning period at all. In addition, they have all the administrative duties of managing a library. Often they are expected to be the instructional and technology leaders in their schools. It is incredibly stressful work. * Can plan one lesson and present it to 15 different classes. * Have a very prescriptive lesson duration (usually 30 minutes). * Do not have to devise accountable assessment tasks. * Do not have to mark assessment tasks. * Do not write individual student reports. * Do not do Parent Teacher Interviews. * Do not have to start accepting classes until Term 1 Week 5, when the library is pretty enough. * Can stop accepting classes 5 weeks from the end of Term 4, while they do a stock take. * Teacher Librarians wouldn’t go back to being a Classroom Teacher for love nor money. Thanks for the light-hearted article. True about the “Teacher” part, but you have no idea the responsibilities of the “librarian” part. Obviously you are a classroom teacher who doesn’t understand what is involved. I’m sorry your school librarian has not been able to work with you so that you can understand. Have a good year. Really? How long have you been a librarian? And in what country. I AM a teacher/librarian and I teach across 4 grade levels. In my previous school, it was across 15 grade levels. I plan and teach different lessons to align with every different class. Yes, we stop accepting classes before end of year. Library inventories are mandated and take time. Perhaps we should do it during the summer while you are on holidays? We are here for PT interviews, we act as student advisors, and we begin and end every day long past when students are in classrooms. It sounds like a bit of sour grapes on your part David. Perhaps if you think it’s such a cakewalk, you should go BACK to school, get your MLIS and come out and spend some time in our shoes before you start slinging stones. Stephanie, I always appreciate your insights and humor. I heard Dr. Wayne Dyer say that people spend a high percentage of time being offended, something like 45% (I can’t remember the exact quote/percentage). After I got over being offended that he would say I spend so much time being offended, I laughed and realized he was right. Keep on being insightful, helpful, funny, and in touch with your inner-crazy. I like you just the way you are. (Another misquote, I’m sure, from Mr. Rogers).